Lycia is in many ways an archaeological wonderland. Even within Turkey, a country rich in well-preserved ancient sites, the region stands out for its wealth of evocative ancient remains, all set within a very beautiful Mediterranean landscape. Thus, it is hardly a surprise that Lycia figures among Peter Sommer Travels’ offerings in a big way, with no less than four different itineraries of our escorted gulet cruises focusing on the area (one-week and two-week archaeological tours as well as one-week and two-week Walking and Cruising ones). It should be stressed, however, that Lycia may well be the most mysterious of the ancient landscapes we travel. For those used to the sites of Greece, Italy or Western Turkey, it is an intriguing mix of highly familiar features and supremely strange ones – in other words, it keeps us on our toes! A submerged tomb at Kale (ancient Simena). Next Saturday (November 23rd), the University of Liverpool is hosting a Mediterranean Archaeology Research Day, a series of presentations devoted to ancient Lycia. The event’s organiser is Alan Greaves, who regularly leads tours for us. And he’s not the only one: three more of our tour experts will contribute: Richard Bayliss, Michael Metcalfe and myself. Evidently, Lycia does keep us all thinking. So, what’s so special about Lycia? Lycia can be roughly defined as the large, not quite semicircular peninsula that protrudes southwards from the shore of Asia Minor between the cities of Fethiye (ancient Telmessos, on the border of the ancient region of Caria) and Antalya (ancient Attaleia, already in Pamphylia, Lycia’s Eastern neighbour). Its landscape is defined by a rugged shoreline with a series of mountain chains rising directly behind most of it, traversed here and there by a number of river valleys. The term Lycia appears to be an exonym, i.e. a name not used by the Lycians themselves, but by outsiders, such as Greeks and Romans. Its origins go back to the 2nd millennium BC, when the great Hittite empire occasionally referred to a grouping called the Lukka. The Lycians called themselves Trmmis or Termyloi and had their own (Indo-European) language. For a few centuries, they also had their own alphabet, derived from the Greek one. 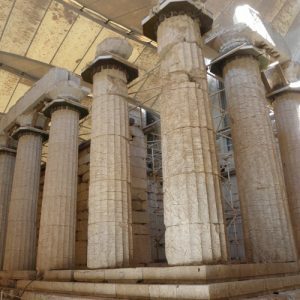 In spite of Lycia’s wealth in archaeological sites, much of the region’s history remains quite enigmatic. 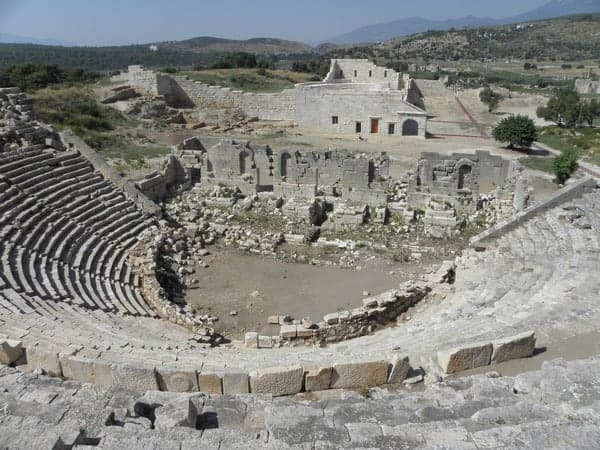 One of the reasons for the relative lack of specific sources is the fact that for most of its early history Lycia was not a defined political entity or state, another is simply that it was rarely at the centre of historical developments. Little is known of the region’s prehistory and early history. Although Homer already mentions it repeatedly, Lycia only really becomes visible around the 7th and 6th centuries BC, when the Greeks’ eastward expansion led to occasional contact between Lycia and parts of the Greek World, especially nearby Rhodes. By the mid-6th century BC, along with the rest of Asia Minor, Lycia was conquered by the Persians. In the middle of the 5th century, when Athens was at the height of her power, actively pushing against the Persians in Anatolia, Lycia briefly joined the Delian League (or Athenian empire), perhaps not voluntarily. This did not last long: by the late 5th century, Lycia had repelled Athenian attempts at regaining control. 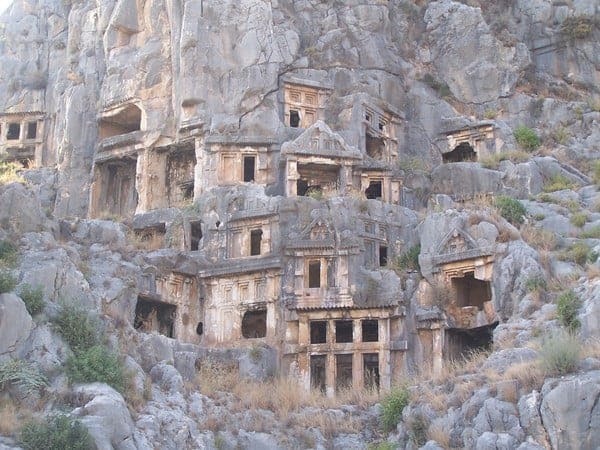 For a few generations, Lycian communities thrived under the dynastic rule of local aristocrats, but under Persian sovereignty. In the 4th century, the region was incorporated into the Persian satrapy of Caria and governed alongside its western neighbour by the Hecatomnids, the same dynasty that produced Mausollos, whose monumental grave at Halikarnassos was counted among the Seven Wonders of the Ancient World. With Alexander’s conquest of Asia Minor in 334/3 BC (he wintered in Phaselis on Lycia’s eastern coast), Lycia became part of the wider Hellenistic World, later to be Romanised, Christianised and so on. The key cultural expression of this complex and unusual history is Lycia’s archaeology, especially its unique funerary architecture. 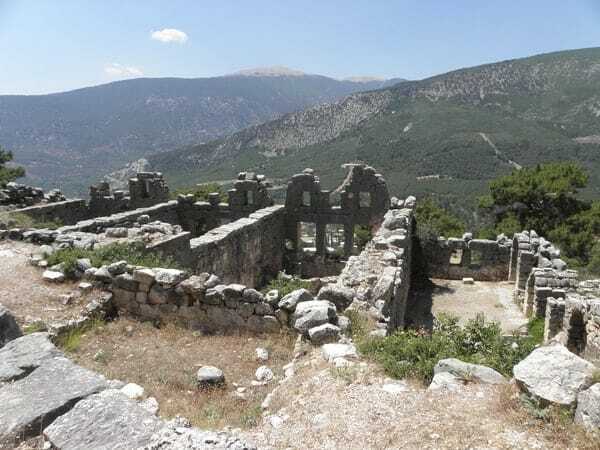 In fact, the earlier history of many Lycian sites is much more visible in the form of monumental cemeteries than in that of settlements, fortifications and so on. Especially during the “dynastic” period around the turn of the 5th/4th centuries BC, regional centres such as Xanthos, Tlos, Lymira or Pinara were embellished with large and elaborate built or more often rock-cut tombs that are unique to the region, incorporating a local Anatolian background while freely adopting both Greek and Oriental elements. The impression is that the Lycians were well aware of their interesting and somewhat unusual position at the interface of the Greek/Western and the Persian/Eastern cultural spheres, and that they quite deliberately made use of both influences, uniting them with the local tradition to create an architectural vocabulary that was and remains unmistakably Lycian in character. 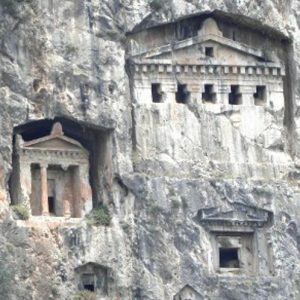 Those Lycian tombs are supremely strange at first sight. Archaeologists divide them into various separate types, including rock-cut “house tombs”, free-standing “house tombs”, and so-called “pillar tombs”. “Temple tombs” also occur, but may be a little more international in character. 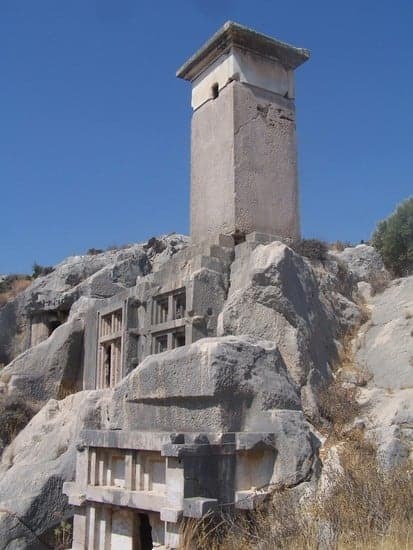 The details of these monuments, often cut from the sheer rock, include imitations of wooden architecture, perhaps suggesting Lycian houses or shrines, but also carved motifs inspired by Greek sculpture and even Greek myth, and likewise Eastern motifs. Since Lycia was not politically unified at the time, the tombs are an important expression of regional identity and of local individualism at the same time. At around the same time, Lycian rulers begin to mint very fine coinage, essentially following a Greek tradition of craftsmanship, but with their own original contribution, notably the first use of coin portraits we are aware of. After Alexander’s conquests, Lycia became a more mainstream part of the Hellenistic World. Now substantially Hellenised and politically associated with Hellenistic states (mostly the Ptolemaic Kingdom and later the Rhodian state), the Lycians appear to have fast replaced their own language with Greek, now the lingua franca of the Eastern Mediterranean. Likewise, their society was now based on Greek-style cities, which appear to have reached considerable affluence in some cases, judging from their architectural embellishments. Even now, the Lycians had not quite finished being original. At some point around 200 BC, they formed a more or less unprecedented political organisation, the Lycian League. This was a confederation of over 20 still largely independent cities and communities. According to its size, each member was represented in a common Council or parliament by one, two or three deputies. The League maintained federal offices and institutions and had its own army. 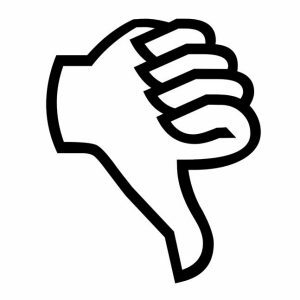 Unlike earlier such organisations, it does not appear to have been dominated by one especially strong member. Remarkably, even after Rome incorporated Lycia into its domains around the middle of the 1st century BC, it permitted the League to continue in existence – minus its army. 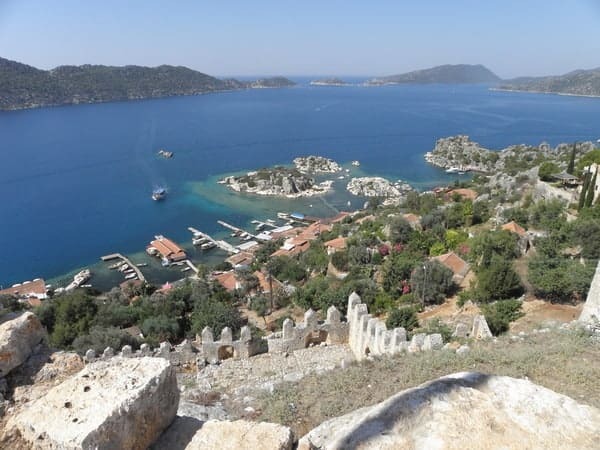 Lycian cities continued to thrive. Strikingly, they still maintained the very local tradition of tomb architecture, variously modified, that had developed centuries before. Eventually, Lycia was Christianised and became part of the Byzantine Empire. Most of Lycia’s ancient cities were abandoned in the second half of the first millennium AD, when growing unrest and upheaval, especially Arab pirate raids, ended a long phase of relative stability. For the traveller, there is much to see of this rich and varied history. Great fortified citadels of the Late Classical and Hellenistic period are found at sites such as Xanthos (a UNESCO World Heritage site), Tlos or Limyra. Those sites, each in an impressively dominant location, are surrounded by the distinctive and elaborate tombs of their early rulers. Well-preserved cities of Hellenistic and Roman dates are even more common: among the most spectacular are the harbour towns of Antiphellos (modern Ka? 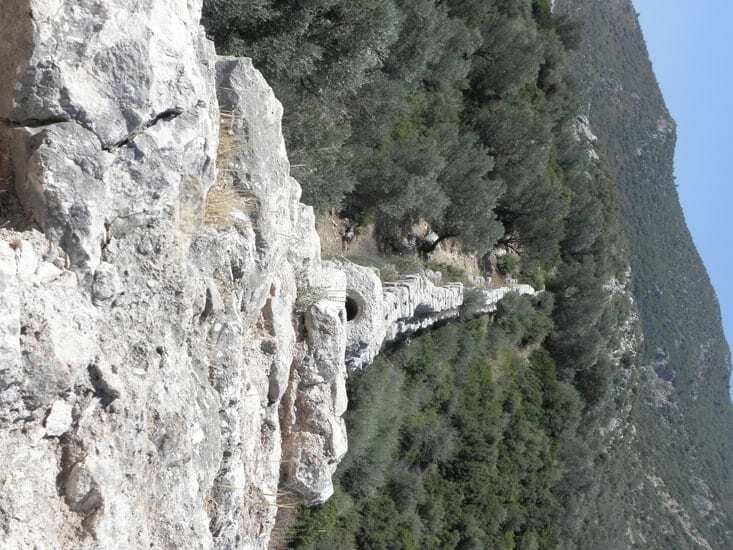 ), Patara, Andriake and Phaselis, as well as Olympos, strung out along the banks of a river in a deep coastal gorge. In a stunning mountainside setting much further inland, Arykanda is sometimes nicknamed the “Turkish Delphi”. 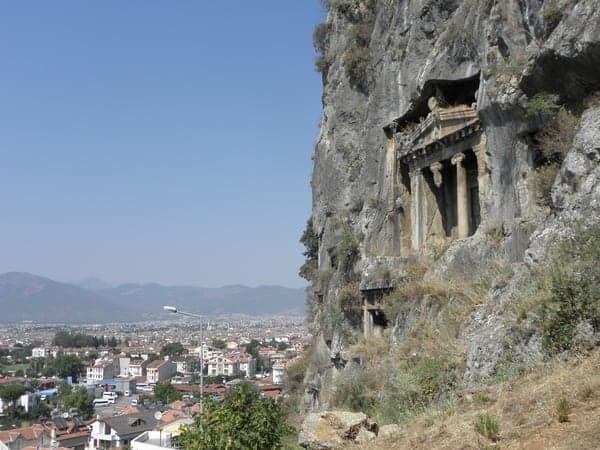 At those sites, the visitor admires great theatres, stadiums, council chambers, granaries, the occasional temple and vast Roman bath complexes, but once again, monumental tombs of various types claim pride of place. For the modern visitor, some sites are virtually defined by their graves, for example Classical/Hellenistic Teimiussai and (mostly) Roman Sidyma. There are also places of legendary sacredness. 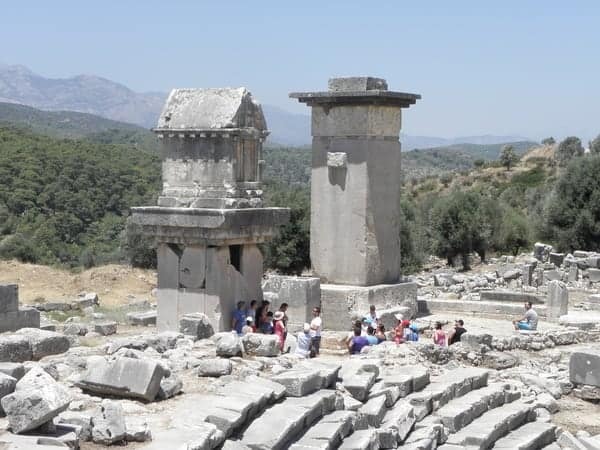 At the Letoon near Xanthos, a series of temples and altars mark one of the sites contending for the honour of being the god Apollo’s birthplace. Near Olympos, a natural “eternal” flame known as the Chimaira was the spot where the mythical hero Bellerophon was said to have slain that legendary monster. There are also a great many early Christian monuments to be seen, among them countless early churches, e.g. 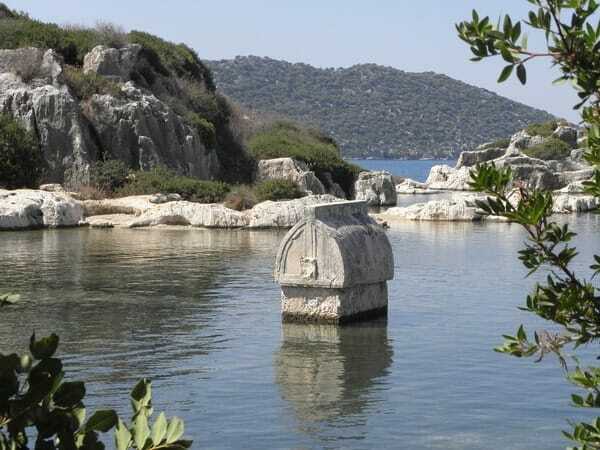 at Patara and Arykanda, but also the great pilgrimage centre on the off-shore island of Gemiler, and the elaborate church of St. Nicholas at Myra. 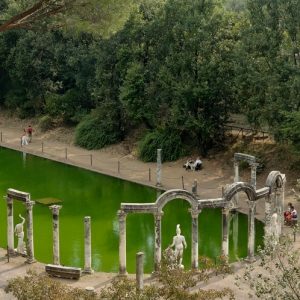 In short, Lycia is unusually beautiful, mysterious and fascinating – well worth your time. 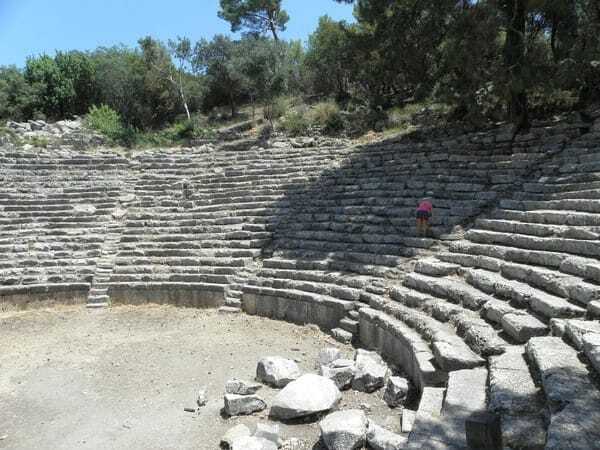 We certainly recommend visiting it, perhaps on one of our cruises (the Lycian Shore or Western Lycia) or Walking Cruises (Western Lycia or Lycia) – following part of the Lycian way, the 520km (317mi) hiking track that runs through the region. If you are based in Britain, why not engage with Lycia a little further by joining us for the Liverpool Research Day next Saturday. It’s also a nice opportunity to meet some of Peter Sommer Travels’ tour experts, and to spend a stimulating and interesting day in good company.